I recently fulfilled one of my life goals to visit Silicon Valley and Googleplex. Silver Mouse, the marketing agency I founded 15 months ago has won this coveted award and trip to All Stars Partners Summit, alongside with established agencies from the region. 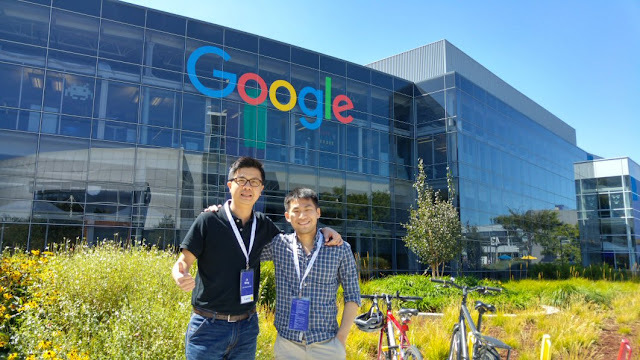 It was definitely an eye-opener, to experience the culture in Silicon Valley and San Francisco as a whole, and the content presented in the summit was top-notch. While the content was more skewed to the marketing essence for advertising agencies, here are some easy-to-digest yet impactful findings from the summit and our visit there. Why Google changed its logo? We have been lucky to witness the logo change at Googleplex, as we were there when Google suddenly made the announcement to the world. 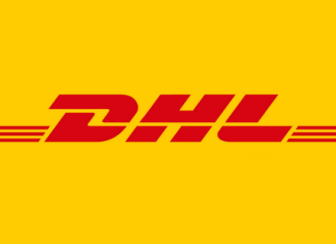 However, do you know what is the main reason behind the logo change? In short, it is a sans-serif font optimized for multi-devices, which can load say mili-seconds faster on your mobile phone. You can imagine how many testings, how much creative resources Google has allocated just for this logo change, all for the better user experience. Read here for their elaborated explanation. "We unlock our phones 150x a day", the exact phrase is repeated by multiple presenters in the summit to the extent of becoming a casual joke among the participants. Joke aside, this emphasizes again how frequent is the mobile phone usage, from day to night, while working, eating, dating - basically all the time! 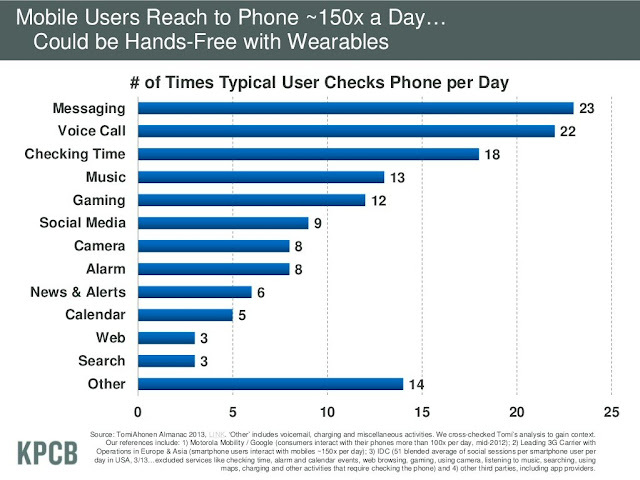 The chart below by KPCB breakdowns the phone check frequency by activities. 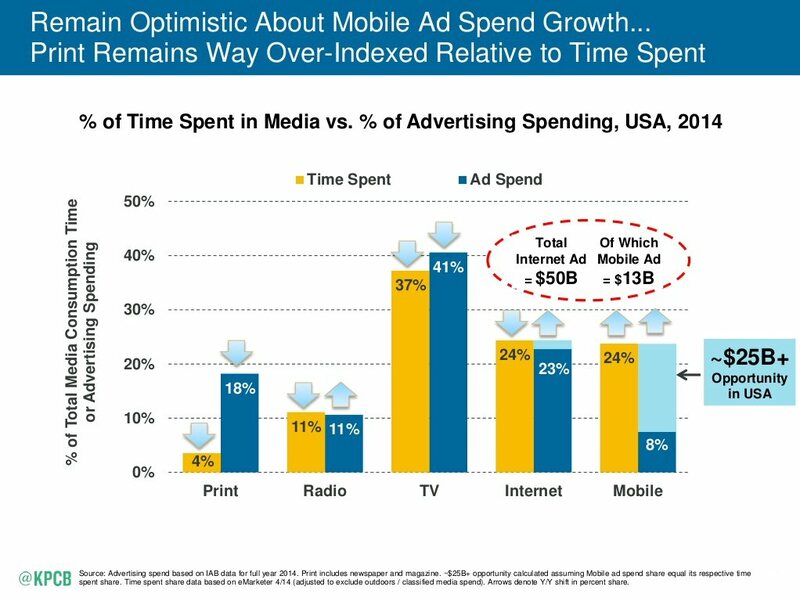 Even though % of time spent on mobile is on increasing trend vs other media like print, radio, TV and even Internet (PC), the advertising spend on mobile is the lowest among all media. If we refer to the chart below, only 8% of advertising expenditure (even for US market) is spent on mobile, and mobile is the only media with upwards trend in terms of time spent vs all other media. This is something worth pondering for all business owners and advertisers. Read also: LINE mobile marketing secrets revealed! Ask yourself and you are likely to admit that you have the mobile phone with you almost all the time, and sometimes holding it with your hands, right? You might have your TV installed at living hall, laptop in your room, tablet within reaching distance, but that mobile phone is always with you. What can be potentially closer than phone to you? Yes, it can be VR glasses. Is wearable technology the next big thing in reality? It will be hard to dismiss this, even more so if Steve Jobs is still around. Is this the next wearable technology Google is developing secretly? Sorry to disappoint but this is the acquisition philosophy by Larry Page, the co-founder of Google. 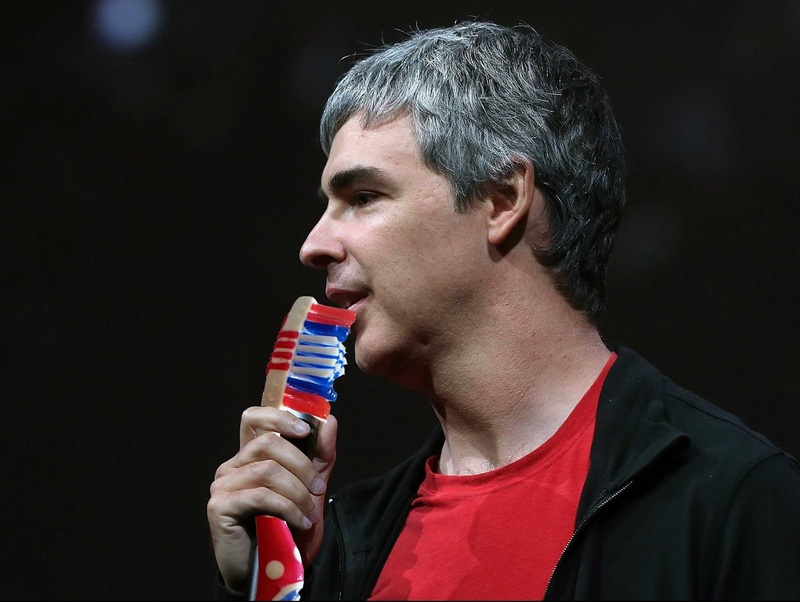 He applies "toothbrush test" to determine whether a company is worth acquiring. How does it work? If you offer something that your users or customers will use at least once or twice a day, you will pass the "toothbrush test". So for start-ups who intend to serve mass consumers, it is good to ask yourself this question first. Well, localized version can be "MILO test". 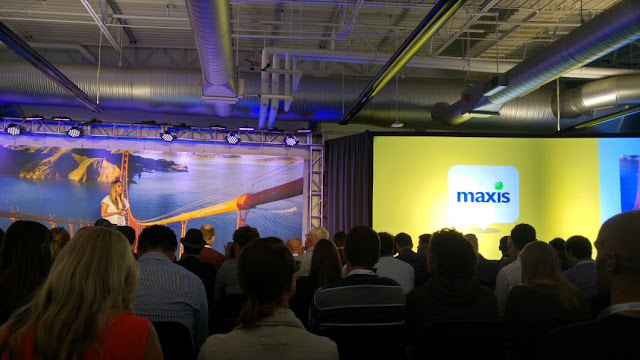 Talking about local, we are pleasantly surprised when Maxis case study was being presented by the speaker from Waze - a Malaysia-Boleh moment. It is about Safe Mode with kids voice-over in your Waze navigation, check this and activate it on your Waze if you haven't tried so! You might not be aware of this but Malaysia is one of the top 10 countries of Waze, alongside with Indonesia. "What happened with Waze in Malaysia is amazing. We did nothing there, and people organized on their own to build the map. 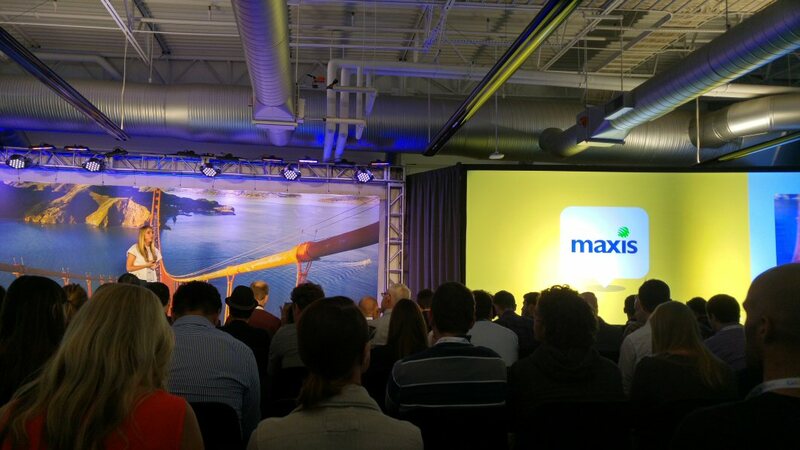 There's a community of almost 600,000 users there", says Noam Bardin, CEO of Waze in year 2012, that was 3 years ago.